Thanks so much to everyone who made the Spring Showcase such a great success! The program featured George Balanchine’s virtuosic Tarantella Pas de Deux which showcased two pyrotechinical dancers in an ever-growing profusion of steps. 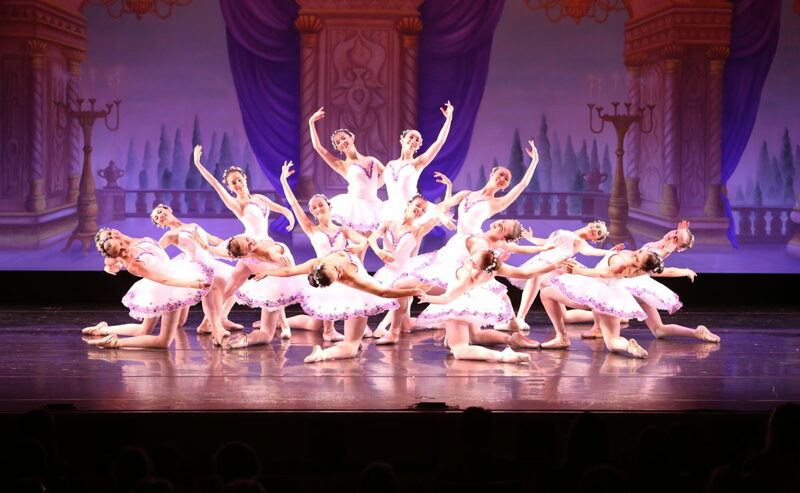 Opening the program were excerpts from Le Corsaire, one of ballet’s most classical works, including Le Jardin Animé and the famous Corsaire Pas de Deux. Renown choreographer and Westside Ballet alumna Melissa Barak revived her rapturous Concerto Italia to the music of Albinoni, Torelli and Pergolesis. Yvonne Mounsey’s blissful ballet Masquerade returned to the stage, as the youngest dancers enchanted the audience with an excerpt from Act III of Coppélia, as well as A Midsummer Night’s Dream with the exquisite music of Mendelssohn. Four of our young boys appeared as sailors in Caprice Walker’s delightful Sailor’s Hornpipe with music by Hershy Kay. The program closed with resident Jazz Director Michele Bachar’s audience favorite, A Chorus Line.